In September the tiny buds of leaves are beginning to show through the bare Frangipani branches and by November the leaves are back and the magnificent flowering has begun. 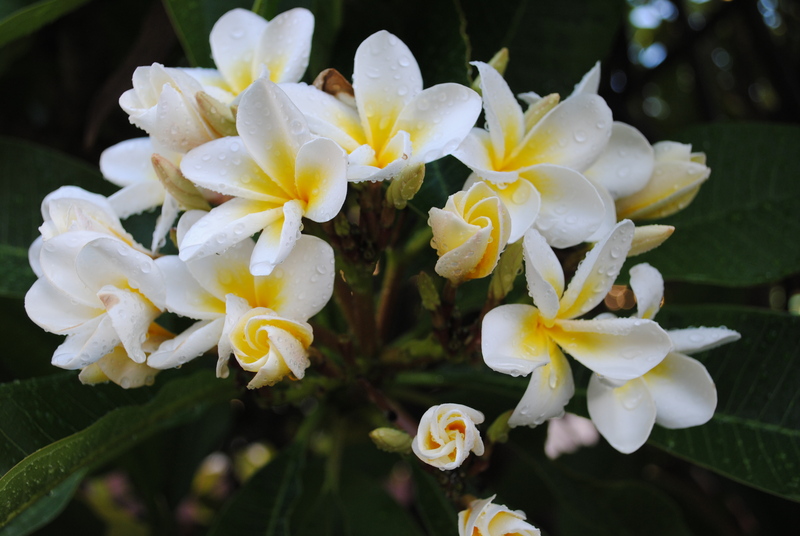 Our Summer evenings are filled with the scent of Frangipani as the tree in the front garden erupts into a display of perfumed Mandala~Flowers. 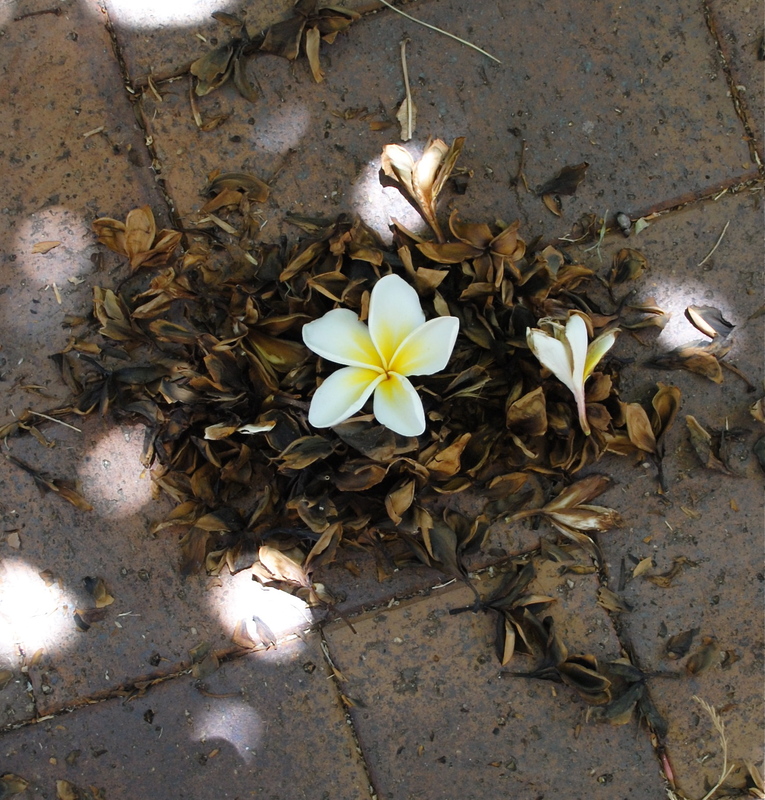 I took this first photo after spraying Frangipani at the end of a hot summers day in January…as odd as that seems to the northern hemisphere readers…. 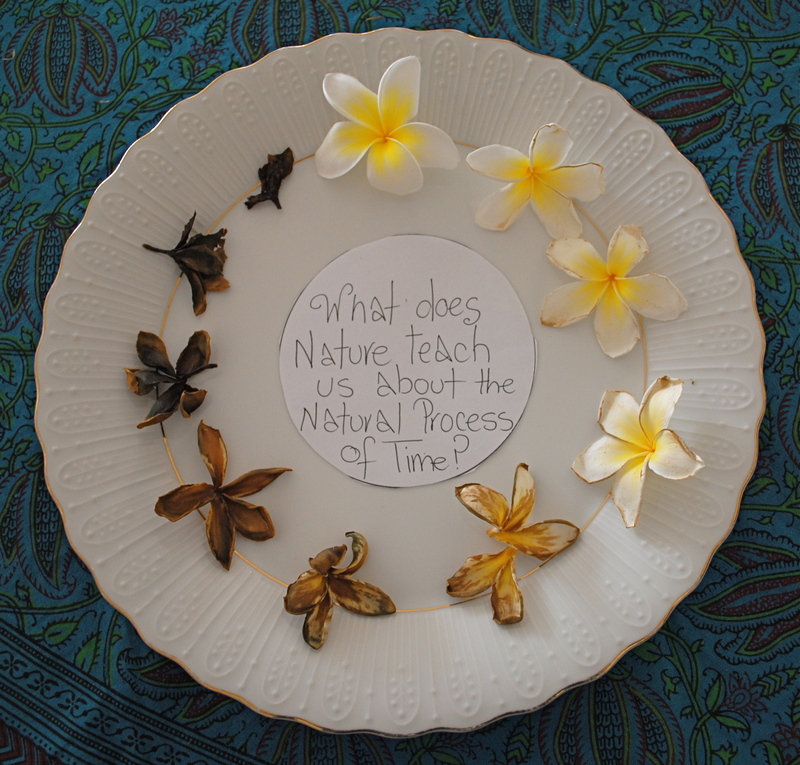 The passage of time shown as Frangipani moves through her seasons and cycles….